 Zhang, X.L. (2016) Synthesis, Crystal Structures, and Antibacterial Activities of Schiff Base nickel(II) and Cadmium(II) Complexes with Tridentate Schiff Bases. Russian Journal of Coordination Chemistry, 42, 436-441. Pardasani, R.T. and Pardasani, P. (2015) Magnetic Properties of Complex of Cobalt(II) with Tridentate Schiff Base Derived by the Condensation of Salicylaldehyde and Furfuraldehyde with o-Phenyldiamine. Magnetic Properties of Paramagnetic Compounds, 31B, 714. 王澈, 侯鹏, 李崧, 等. 席夫碱及其金属配合物的合成及生物活性[J]. 化学通报, 2009, 29(4): 334-339. Fatemeh, M., Bita, S., Ahmad, S., et al. 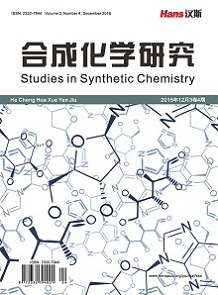 (2016) Synthesis, Spectral Characterization, X-Ray Crystal Structure, Electrochemical Studies, and DNA Interactions of a Schiff Base Pro-Ligand and Its Homobimetallic Com-plexes Containing the Cysteaminemoiety. Transition Metal Chemistry, 41, 475-484. Bu, J., Duan, H.D. and Wang, X.J. 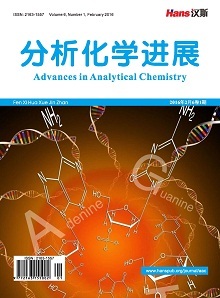 (2014) Fluorescence Sensors for Cu2+ Based on Conjugated Indole Schiff Base. Research on Chemical Intermediates, 40, 3119-3126. 庞海霞, 徐保明, 陈彦国, 等. 一种新型Pb(Ⅱ)配位聚合物的合成、表征及性质研究[J]. 人工晶体学报, 2014, 43(1): 242-247. 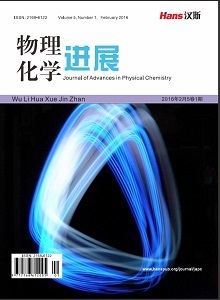 Yu, C.W., Zhang, J., Li, J.H., et al. (2011) Fluorescent Probe for Copper(II) Ion Based on a Rhodaminespirolactame Derivative, and Its Application to Fluorescent Imaging in Living Cells. Microchimica Acta, 174, 247-255. Saleem, M., Khang, C.H., Kim, M., et al. (2016) Chromo/Fluorogenic Detection of Co2+, Hg2+ and Cu2+ by the Simple Schiff Base Sensor. Journal of Fluorescence, 26, 11-22. 庞海霞, 龚兴厚, 张正强, 等. 一种新型双核锰(II) 配合物的合成、表征及磁性能研究[J]. 人工晶体学报, 2015, 44(7): 2012-2016. 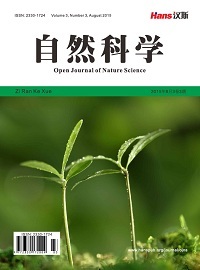 Li, Y., Liu, Z., Zhu, W., et al. (2015) Two Different Emission-Wavelength Fluorescent Probes for Aluminum Ion based on Tunable Fluorophores in Aqueous Media. Journal of Fluorescence, 25, 603-611. Sheldrick, G.M. (1997) SADABS. Program for Empirical Absorption Correc-tion of Area Detector. University of Göttingen, Germany. Sheldrick, G.M. (1997) SHELXL97, Program for the Solution of Crystal Structures. University of Göttingen, Germany. 邱建超, 毕彩丰, 范玉华, 等. 苯甲醛缩4-氨基安替比林希夫碱的合成、晶体结构和量子化学研究[J]. 中国海洋大学学报, 2008, 38(6): 985-991.